One of the easiest and most affordable ways to brighten your smile is to get teeth whitening in Ladera Ranch. There are several possibilities when it comes to tooth whitening systems. You can choose from a selection of over-the-counter tooth whitening products at your local drug store, or you can depend on your dentist. It is a good idea to consult with your dentist before using over the counter products for teeth whitening in Ladera Ranch. Your dentist knows your teeth and dental history and can recommend the tooth bleaching product most appropriate for you. There are many variables when it comes to teeth whitening in Ladera Ranch. The color of your teeth at the beginning of your treatment will influence the end result. Other considerations include previous cosmetic dentistry procedures the patient has completed, such as crowns and dental bonding, gum health, and tooth sensitivity. Your dentist has experience treating tooth discoloration and understands the advantages and drawbacks of the available methods. Your dentist may suggest a tooth whitening solution that you can take home with you. In some cases, your dentist may recommend a professional treatment that is done at the dentist’s office. Professional tooth whitening can deliver compelling results in a single treatment but is often done over a couple of visits to the office. 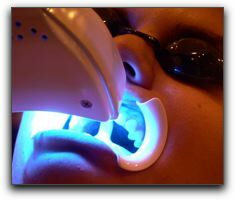 Tooth whitening is less pricey than it was in the earlier days of tooth whitening technology. Today, tooth whitening treatments are very cost-effective. If you are interested in teeth whitening in Ladera Ranch, please call Hales Parker Dentistry to make an appointment for a tooth whitening consultation. We also offer other services such as Invisalign clear braces, cold sore treatment, and tooth extractions.